Hi, everyone! I’m sorry for my long absence. My stepdad died suddenly and very unexpectedly, so I have not been able to create or blog. I am trying to make a bunch of projects now and get blog posts scheduled for the next couple of months, as I will be in and out of town helping my mom with things for a while. My live Facebook videos may be sporadic, but I will try to have regular content posting on the blog. Anyway, on to today’s card. 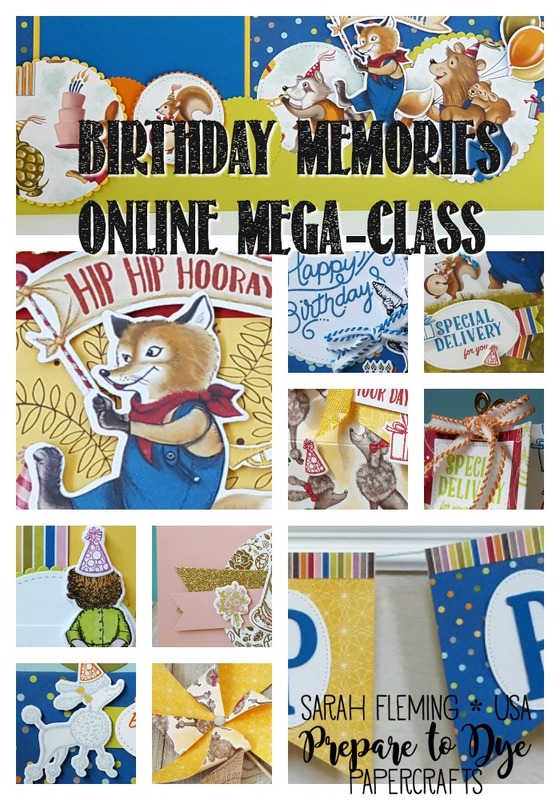 I realized I never finished blogging about my Creative Crew projects. I think this one is my favorite for August. I just love all of the bright colors! This is my card for the Love a Technique challenge, and I chose the Watercolor Imprints technique. I don’t have a lot of stencils, and the ones I do weren’t very good for this kind of technique, so I chose to make my own stencils using the Swirly Scribbles thinlits dies. I took the big wave scribble die and cut three of them out of a Window Sheet. These acetate sheets are thicker and harder to cut than cardstock, so I used the Precision Base Plate and ran the sandwich through twice to cut each stencil. I used non-SU watercolor paper (I forgot to order any with my last order!). I swiped on Lemon-Lime Twist at the bottom, then Pool Party, then Tempting Turquoise, then Bermuda Bay. 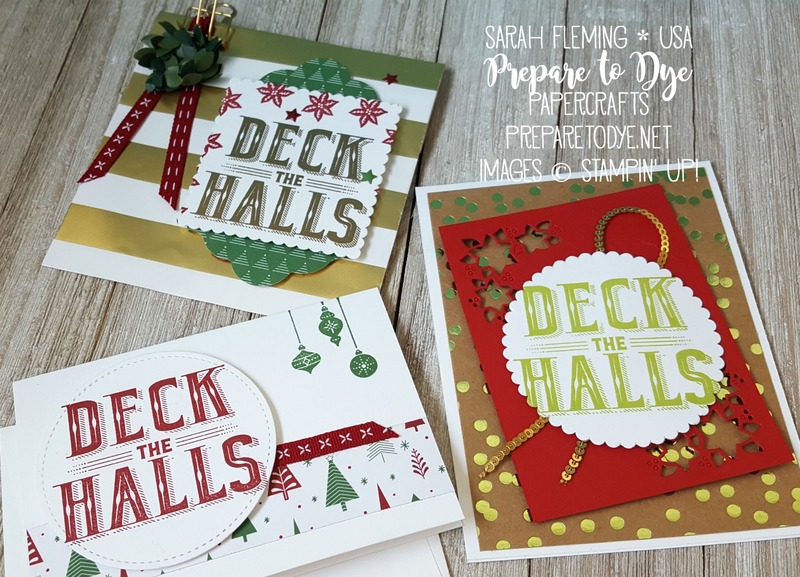 I spritzed with a Stampin’ Spritzer to activate the colors, as instructed in the tutorial. I laid the stencils across the paper, starting with the Pool Party section, and had one stencil over each section. I weighed down the edges of the stencils with clear blocks. My first two or three attempts at this technique didn’t really work out, and I think it’s because I didn’t make sure the wet ink was touching the stencil. So make sure to weigh down your stencil. After the background was mostly dry, I removed the stencils (carefully) and hit the damp spots with the Heat Tool to finish it. 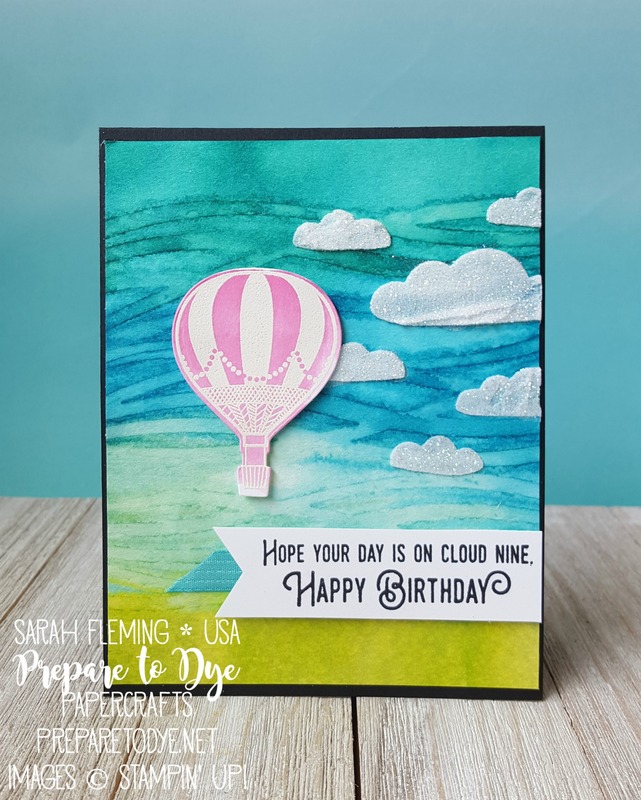 I had decided that the hot air balloons in the Lift Me Up stamp set and Up & Away Thinlits dies would be perfect for this background, as the swirly layers made me think of a windy day, and the month of August makes me think of the Spirit of Boise hot air balloon festival. We loved going to the festival when we lived in Boise, and I think of it every year and want to go back for it. 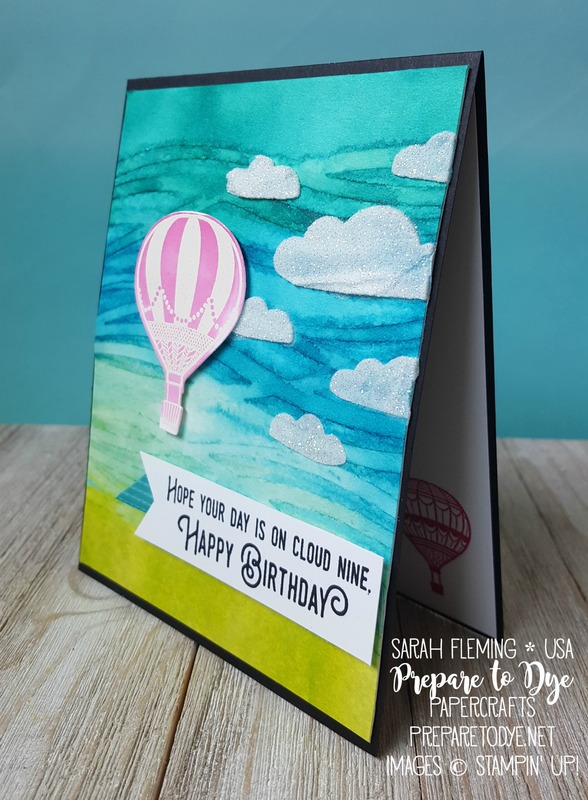 I used the clouds stencil from the Pattern Party Decorative Masks and Embossing Paste to make some clouds in my sky. I smeared the paste on just a few of the clouds, let it dry a little, then sprinkled Dazzling Diamonds glitter on, then set it with the Heat Tool. 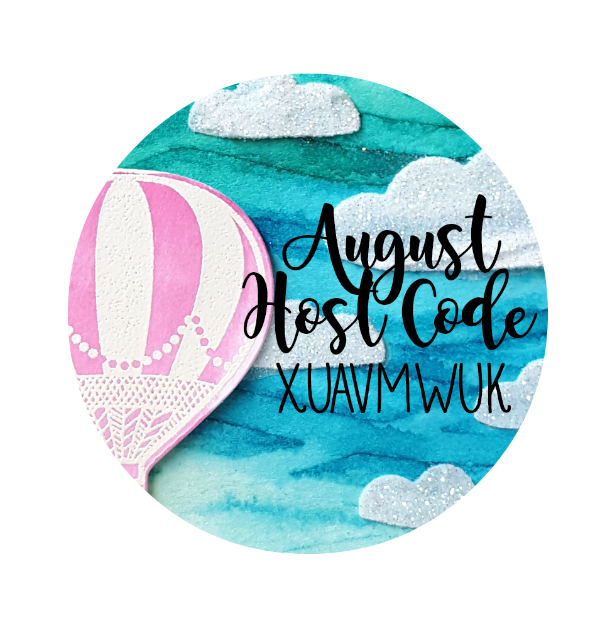 Hitting the Embossing Paste with the Heat Tool makes it bubble up a little, and I love the extra texture that comes with it. 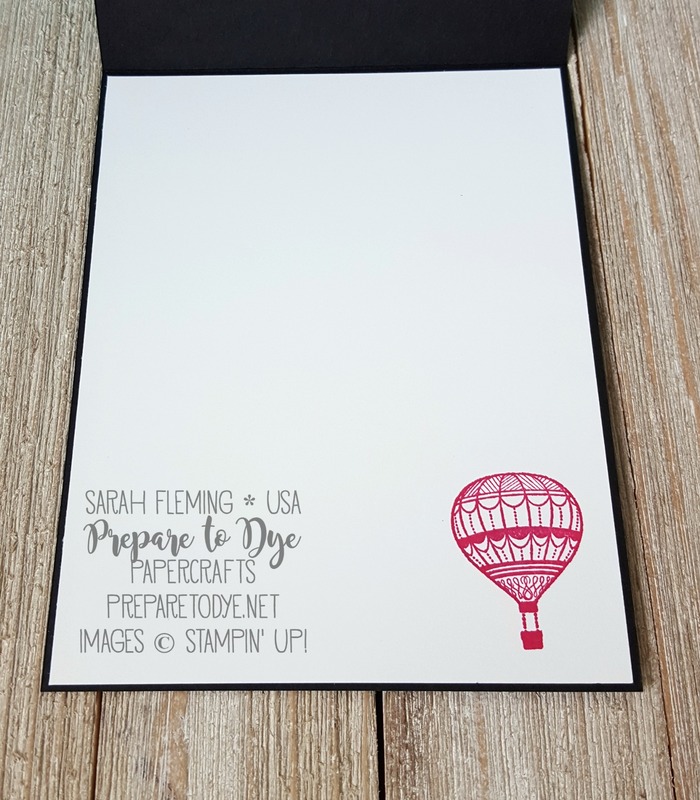 I embossed the hot air balloon in white on Thick Whisper White cardstock, then very lightly colored it in with Melon Mambo ink and an Aqua Painter, then wiped the excess ink off the embossed parts. I finished the card off with a strip of ribbon and the sentiment. 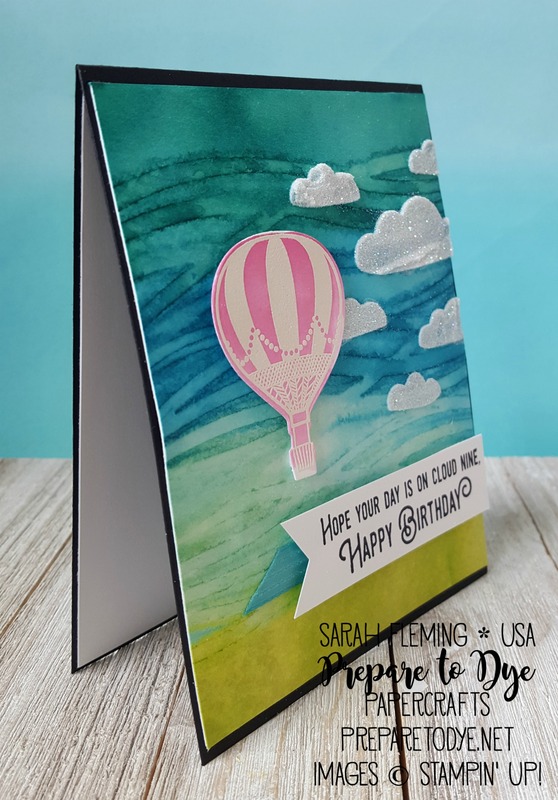 I stamped a smaller balloon in Melon Mambo on the inside of the card. 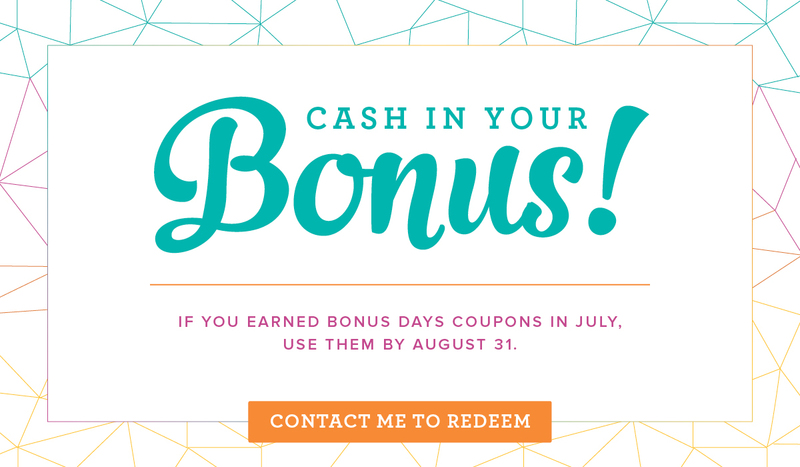 You can buy all of the products I used in my card in my online Stampin’ Up! store (direct links are below).